In 2017, we saw some positive economic trends that resulted in our performance improving over 2016. Our volumes increased five percent, reflecting a strengthening economy as well as our success in capturing additional business in many of the commodities we haul. In fact, during the peak holiday shipping period the week after Thanksgiving, we broke our all-time weekly volume record, handling about 220,000 units. We must never lose sight of our safety vision of an injury-free workplace. Our injury rate was higher year-over-year in 2017, however, we were pleased to see a reduction in injury severity, particularly in the final months of the year. This affirms our commitment and belief that we have the right processes in place to operate free of incidents and injuries. Today, we are experiencing a supply chain environment that is increasingly more competitive. 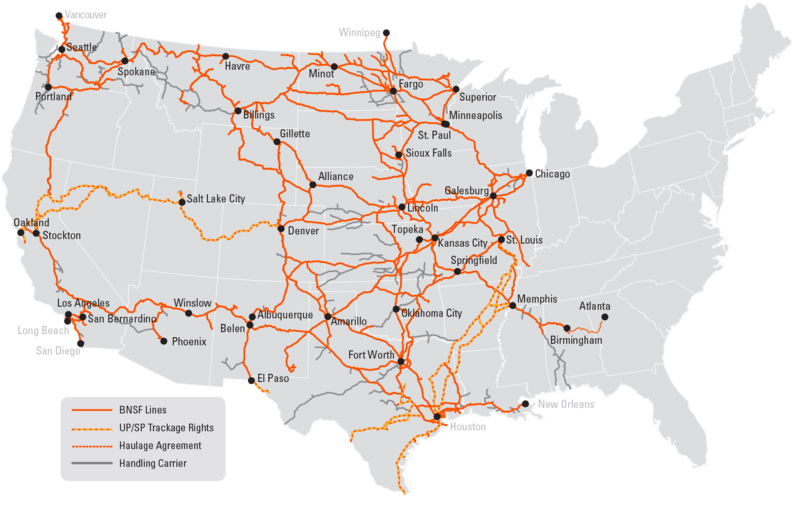 While our domestic intermodal business continues to grow, we have to be mindful that railroads’ efficiency advantage could quickly erode as trucking companies increasingly improve their productivity. In addition, the growth in online shopping has resulted in compressed delivery times being the new expectation from consumers and retailers. As a result, our intermodal shippers are increasing the demands across their entire supply chain. 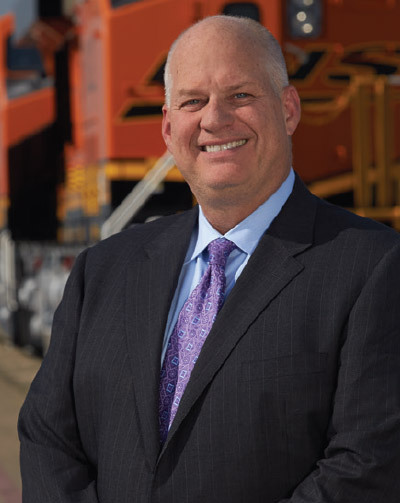 This means that, now more than ever, BNSF has to be focused on providing consistent, reliable and efficient transportation services to our customers. We anticipate that our industrial products segment will continue to move with the economy. As an example, our movement of sand grew in 2017 as oil and gas producers have become increasingly efficient at lengthening the life of existing wells, which requires more sand. Our grain business will always be a consistent pillar of our franchise. Annual grain volumes will fluctuate depending on factors such as U.S. growers’ productivity, domestic and export demand, the conditions in the global marketplace and shortages of grain storage domestically and internationally, but it will continue to be an essential part of our mix of business. We also expect our coal volumes to continue to decline over the long term as more coal plants are closed as utilities shift to natural gas and other fuel sources. We similarly anticipate that our crude oil volumes will be less over time as a result of greater pipeline capacity and lower demand. However, Canadian production is expected to outpace pipeline capacity in the Oil Sands region in the short term and represents opportunity for crude-by-rail. We experienced a number of challenges that impacted our velocity in 2017 – including ice storms, avalanches and hurricane flooding. We responded to these challenges by deploying additional resources and, thanks to the aggressive efforts of BNSF employees, restoring service as quickly as possible. Moving forward, we will continue to invest in our railroad, with a focus on ensuring BNSF operates a safe and reliable network that meets all of our customers’ expectations and positions us to grow with all of them. Proof of our commitment is the fact that since 2000 we have invested more than $60 billion into our network, closing out 2017 having invested $3.3 billion. I am optimistic about what’s ahead for BNSF because I know what we can accomplish together. As we move through 2018, I remain as confident in our future as I’ve ever been because we continue to be relevant. We are proud to be railroaders because what we do is important – safely moving the freight our customers need, the goods that are vital to our nation and our economy.